Win a free Swedish cooking class at Cookyn! Calling all kitchen-proud home cooks out there! Fancy winning a free cooking lesson sponsored by IKEA Smart Kitchens? 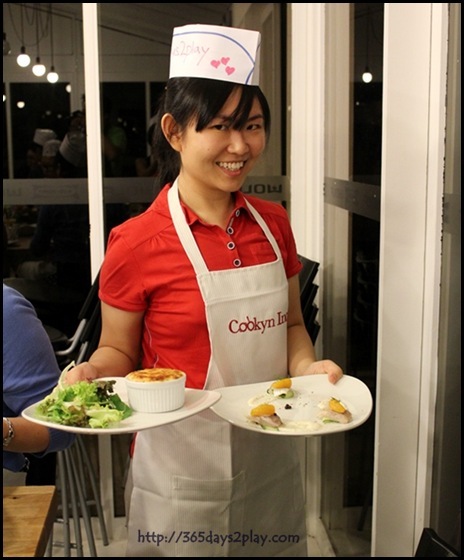 The cooking class will be held at Cookyn Inc and promises to be a session of fun-filled laughter amidst hands-on cooking! All you have to do is to submit photos showing IKEA how Pretty, Smart, Good and Happy it is in your kitchen and dining for you and your family. Click here to access the IKEA Facebook Page and read the full instructions or view the photos for inspiration, or simply submit your photos here. The closing date is 14th June. Meanwhile, scroll down to view the pictures of the amazing cooking class I was invited to participate in. *Photos without the http://365days2play.com water mark are courtesy of IKEA. 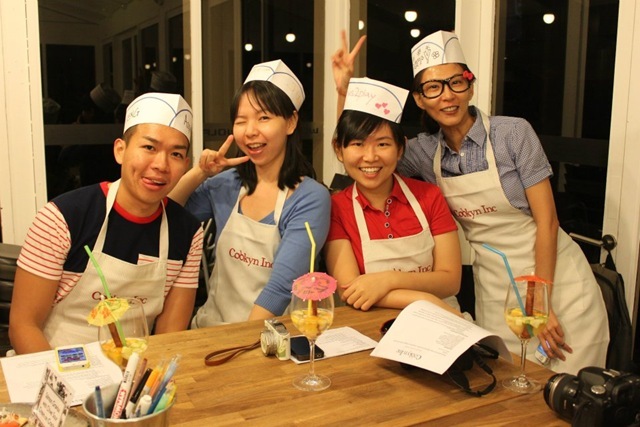 All smiles before the start of the cooking class. I have to warn you, when dining, or doing just about anything with bloggers, be sure to expect lots of photo taking. Even when cooking, we endeavour to slip in a photo or two. That’s just who we are! Two of the Swedish dishes we cooked. Not bad, we did 4 in total, with the help of Mervyn and Rayner of Cookyn Inc!